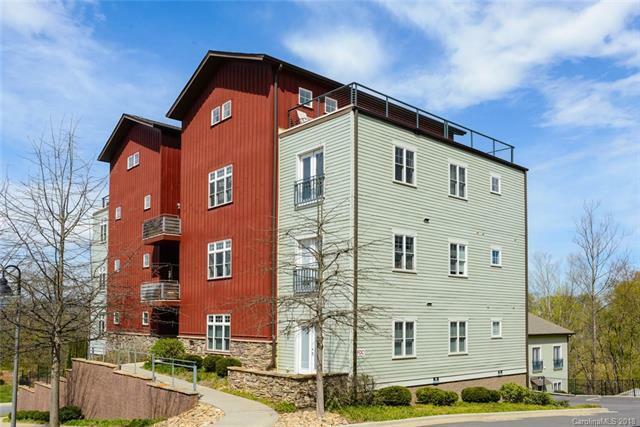 Second floor well-maintained condo in Asheville's first green built condo complex - Skyloft of Asheville. Elevator access, open plan, bamboo flooring, local artist touches including stone, steel & glass accents and poured concrete counter tops. Great location close to downtown. Attached garage with dedicated space. Views of downtown skyline, full appliance package, storage unit.